Global Continuity has signed agreements with Fusion Insurance Services and Oliva Underwriting Management to deliver Global Assist, GC's Business Continuity and Disaster Recovery Solution to the SME Sector and reduces potential costs for all parties. In August 2009 the Council for Administration (CfA), actively supported by the Continuity Forum started work on the development of National Occupational Standards (NOS) in Business Continuity to support administrators, middle and senior management in SMEs when developing a Business Continuity Plan for their organisation. Throughout the project there has been an strong interest and extensive engagement from key stakeholders with a professional background in BCM as well as from non BCM experts who are involved in a supporting capacity. After a lot of work and many consultations we are now able to present the first draft of a suite containing ten NOS describing the functions that are needed when working at operational (supporting roles) and strategic levels. Following long discussions we were able to incorporate the majority of recommendations made by our key stakeholders. The BCM NOS suite contains four NOS at operational level (admin support and one middle management level) and six NOS at strategic level. In time we are hoping to expand on the suite by adding new NOS as and when demand emerges. 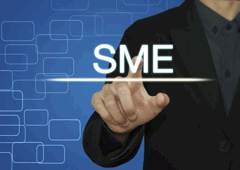 Most small and medium-size businesses are still failing to protect their firms vital data. This is the finding of a survey undertaken by Vanson Bourne and commissioned by Acronis. 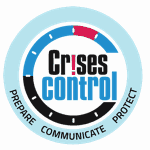 Who is responsible for business continuity management? BCM has grown out of the need to provide IT disaster recovery. While this has focused on IT systems and networks, business continuity management is broader in its scope and encompasses crisis management combined with business, as well as IT resumption. Drilling down from this top-level it will involve identifying key business functions and revenue sources as well as the need to maintain the reputation of the organization as whole. Together, these factors make business continuity management the shared responsibility of an organization’s entire senior management, from the chief executive through to the line-of business managers who are responsible for crucial business processes. Although IT remains central to the business continuity process, IT management alone cannot determine which processes are critical to the business and how much the company should pay to protect those resources. It is important that business continuity management has the full support of an organization’s most senior committee to ensure the initiative does not stall. One member of this committee should be made the overall sponsor with responsibility for initiating BCM across the entire organization. With this top level support it should be possible for the undoubted difficulties that will be faced in putting together the plan to be overcome. An overall BCM co-ordinator should then be appointed to report directly to the senior committee member responsible. This person is ideally someone who understands the business structures and people. They require good programme management, communication and interpersonal skills and need to be a good team leader. In addition a budget must be allocated for the initial stages of the process. For larger organizations matrix team management is the best method to approach business continuity management. The team will be drawn from existing managers within key divisions and or locations. It is expected that they will not be full time members of the team but will need to dedicate appropriate time to the BCM process. Bearing these in mind it becomes easier to develop your BCM plan. Due to the rapidly changing nature of business conditions the process is not static, but cyclical. Once you have worked through and completed step 5 it is necessary to go back to step 1 and review the whole process again to ensure that any external or internal changes have not made elements of the plan redundant. This is the first stage of the business continuity management life-cycle as it is necessary to understand at the outset exactly where your business is vulnerable. You will need the fullest possible understanding of the important processes inside your organization and between you and your customers and suppliers. This stage of the process will also help to gain the involvement and understanding of other people and departments and will also help identify if any parts of the organization already have plans or procedures in-place to deal with an unplanned event. 1. How likely is the risk to happen? 2. What effect will it have on your organization? · How much could you afford to lose if an emergency prevented you from doing business for days, weeks or months? · How would suppliers, customers and potential customers react if your business received adverse publicity because you were unprepared for an incident? There are three ways to work with the information you have gathered to provide an assessment of the risks. 1. Ask ‘what if?’ questions. 2. Ask what the worst-case scenario is. 3. Ask what functions and people are essential, and when. If you would like to know more about how your organisation can benefit from working with us, please email us HERE! The speed with which modern business is transacted means that a disruption of only a few hours can have a catastrophic impact on the profitability and reputation of the affected organization. Although this will have an immediate and adverse impact, it can also damage the long term viability of the organization as well. 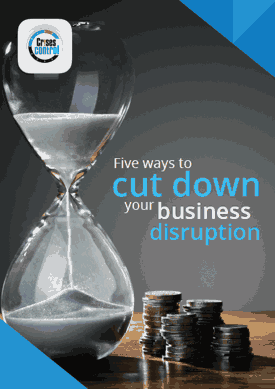 With SMB's facing severe disruption the Continuity Forum asks is it always someone elses fault? As business struggles in the face of economic recession, heavy snowfall across the UK has added to their woes, but also highlights the lack of Business Continuity Planning in most businesses.